If you could hear beyond my screams of elation, the announcement of Shenmue I & II for PlayStation 4 overnight brought with it murmurs of excited curiosity: a new crop of gamers are finally going to get their opportunity to try out this cult series for themselves. That’s a good thing, as Ryo Hazuki’s revenge story sits among the pantheon of legendary franchises that practically all engaged gamers have heard of – but few have actually played. It also means that your expectations need to be appropriately calibrated. For fans like me, Yu Suzuki’s open world adventure is a cultural touchstone; it’s held in the highest esteem, and slathered in superlatives. But the truth is this: even in 2000, when the “most expensive game ever made” arrived on the Dreamcast in Europe and North America, it was a divisive title. Fast forward almost two decades and that won’t change. Many compare the series to the Yakuza titles, and there are similarities. 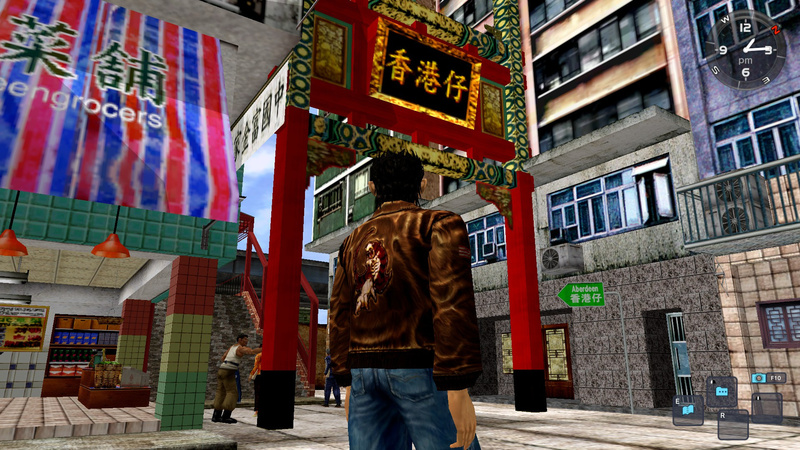 Both seek to provide an “authentic” slice of Japanese life, although Shenmue is much, much more grounded than the soap opera theatrics that make Toshihiro Nagoshi’s gangster games tick. In truth, the franchises are quite different; Yakuza is an action RPG with martial arts, whereas Shenmue shares more in common with walking simulators – or even Quantic Dream titles like Heavy Rain. The pacing, in the first game in particular, barely crawls. You’ll spend a lot of time investigating, speaking to the colourful characters of a dowdy 1986 Yokosuka about black cars and the weather. In some instances, the title will set up meetings for you to attend, and you’ll have to find things to do while your in-game Timex watch tick-tocks to the appropriate o'clock. It’s a bit like Persona 5, but slower and more realistic; for oh so many, boring. While the second game in the series introduces some changes that relieve the tedium, this lifestyle simulation is what sets the titles apart from virtually anything else available today. The game wants to embed you in its world, and so virtually all buildings can be explored; all drawers can be opened. You can take paintings off the walls; there are jobs you can do to earn money. Sometimes this factors into the story; other times it’s just there because Yu Suzuki was a madman with a blank cheque. This is a series that wants to immerse you in its world; it’s a franchise where watching NPCs randomly go about their business is a big part of its appeal. But it’s also, as I said at the start of this article, almost 20 years old. You have to remember the context, because it preceded even the ground-breaking Grand Theft Auto III. Nothing like this had ever been done before; a story like this had never been told before. It was innovative in so many ways. But in a modern context, that’s less true. 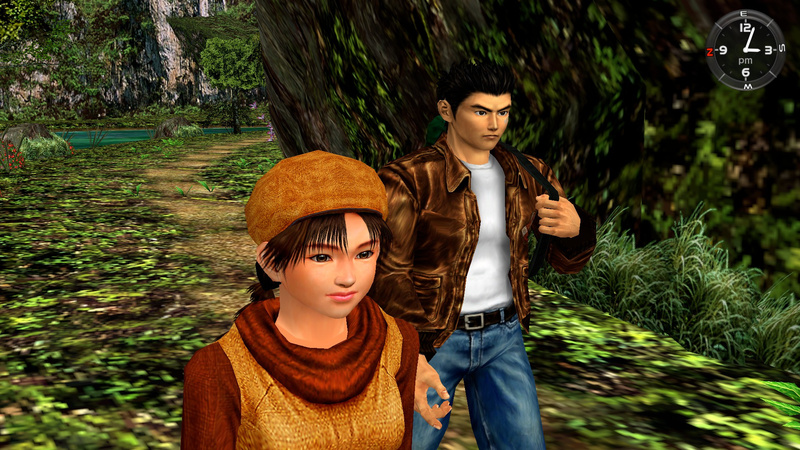 The world – even in the much-larger Shenmue II – is small, segmented, and claustrophobic. The writing and voice-acting, while iconic, is diabolical. The gameplay is cumbersome and slow, and it’s unlikely that the modernised control scheme being added to this remaster will change that. And it’s absolutely riddled with sloppy QTE sequences – the title practically invented them. I’m not trying to deter you, I want you to play these games – but I also want you to be prepared for what you’re getting into. Shenmue is a cult classic; the kind of game that hinted what the medium was capable of, and paved the way for the likes of The Last of Us and Grand Theft Auto V. But it’s also old and the first of its kind, and that means that it comes with all of the warts and imperfections you’d expect of a pioneer yet to be refined. Will you be playing Shenmue I & II for the first time on the PS4? Are you keeping your expectations in check, or have decades of enthusiasm for the series coloured your outlook? Look for the man with a tattoo in the comments section below. I'm happy to answer any questions some of you may have about the Shenmue games. I know we have a fair few other old-school fans on the site too, so I'm sure they'll chip in with responses as well. I know next to nothing about these games, but have been wanting to try them out and see what's so good about them. I'll have to keep my expectations in check, but they should be a lot of fun. I'll be buying this compilation just for the sake of adding it to my collection. But based on the comments of the article, it really does sound like these games are outdated so I'm probably not going to be playing them as soon as I buy it. It will have to depend on my mood and when I'm willing to really immerse myself in that type of game. If I can manage to find the right time to play these games, I'm sure that I'd absolutely love them being the avid fan of Japanese culture that I am. I have heard about these games for years and feel like I ought to play them but not sure I will enjoy them to be honest. Still, I think hard to get titles being Remastered is a good thing. I've never touched a Shenmue game, so I'm pretty thrilled we're getting a remaster of 1 and 2. I dream about collector edition of this remaster. I hope it will happen. "Shenmue shares more in common with walking simulators – or even Quantic Dream titles like Heavy Rain"
Has put me right off. I've yet to play a walking sim I've enjoyed, and my hatred of Quantic Dream- though irrational I admit- makes me very reluctant to give Shenmue a go. The double box of the Dreamcast EU version is one of my most beloved treasures. But i’ll never look at a forklift the same way again. @Clutch_Nixon What don't you like about walking simulators or Quantic Dream games? It's not a 1:1 comparison, so you may still enjoy. Just eager to know what it is in particular that puts you off those things, as it'll be easier to tell whether you'll like this or not. how involved is the "real life simulator" aspect besides the meeting at a specific time? is it sorta like kingdom come where various real life stuff such as eating and sleeping will make or break the game? @jdv95 You have to sleep; you don't have to eat. 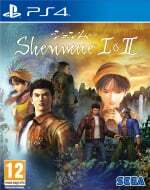 @MadAussieBloke I wouldn't doubt if some of that money that Sony used to help with Shenmue 3 was directed at helping with this remaster. I just don't believe that money was used to keep the remaster off of a certain hybrid device. @get2sammyb Nice article Sammy. Well presented! @get2sammyb How long are the games? How long am I looking at to properly enjoy them? @Jaz007 Not massively long. Depends how you play them, I guess. 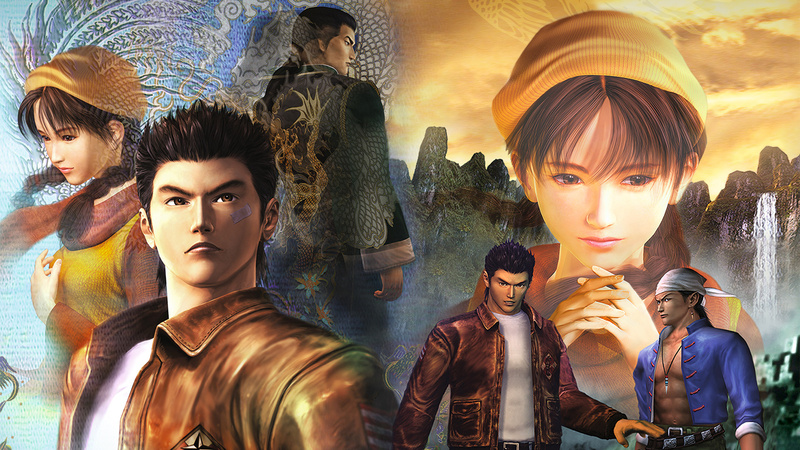 Shenmue is probably about 20 hours long; Shenmue II is probably about 30 hours. Roughly. I was lucky enough to play Shenmue when it originally released, because if I read that line too it would have scared me as well. Shenmue gives you more to do than WS and the world feels more engaging to me, as you start to get familiar with NPCs doing their daily life. You have the main story and minigames and a working arcade while Heavy Rain is purely story. The graphics at the time and the QTEs seem to enforce the comparison. Never played 2 and from what I hear it just gets better. Super excited for finally beating 1 and playing 2. I hope they fix the horrible save system in 1, though. @get2sammyb "would you like a game of lucky hit?" This game was way ahead of its time, you need to amble through the game, do not sprint through main story quests. That's the best advice I can give. @get2sammyb my issue with walking Sims is that of the few I've played (rapture, dear Esther, gone home, and ether one) I've only finished one of them and I just didn't find them at all engaging. Personal taste I guess. Quantic Dream games I find to be horribly written and acted. Heavy rain in particular. I know that's not an issue with Shenmue though. The poor acting is part of the charm. The thing is, I only get a few hours a week where I can play games, so though I'd love to be able to give Shenmue a go, I don't think I'd find it particularly rewarding if it's very slow paced. I'm still made up it's coming out though. Hopefully there will be a few more from that time. 2000 or so was a time that I didn't get to play many video games. I was working up to 90 hours a week so just didn't get a chance! @sinafela thanks for the advice! Definitely giving this a go, if the price is right. I know it’s not a popular opinion, but I like a good walking sim. Weird I know. I’m even more excited after hearing the description. @get2sammyb Thanks, that’s better than I was expecting. I thought they might take forever. @Clutch_Nixon I'm pretty hit and miss on these "walking simulators" myself. Hated Gone Home and Rapture, but I absolutely loved What Remains of Edith Finch. I would rank that game very high on my favorites of all time. I will definitely pick these up, but I do fear that is one that could go either way for me. I do play ‘older’ games pretty frequently so that isn’t an issue for me, but Shenmue seems like a game that’s catered to a very specific gamer. All I know is, that I should be looking out for Sailors, right? I bought the original on the Dreamcast back in the day and it is still in my backlog. Making it look shiny and new in HD will maybe give me the impetus to play it finally. I think I'm missing the point of why this is a must play. Between cumbersome controls, dated open world, bad voice acting and bad writing, what is its redeeming quality? Is the story that good that it eclipses all other shortcomings? Or is it a must play just as an educational piece of history? Unlike most gamers my age, I grew up playing clunky older titles, so I can play an older game just fine. The Shenmue series has been on my bucket list for years. Even if it's aged like takeout pizza, I still want to try it and say I've played it instead of hearing and reading it like some sort of gamer myth. @Clutch_Nixon Try LSD on PS1. It's one of the best walking simulators I've played and it's also pretty damn weird. Best enjoyed with either absinthe or ketamine. Very good article that puts the game in the right perspective for new players! There needs to be a less-extreme option in the poll between "never played them" and "long-time fan". I played about five hours of Shenmue with a friend at university. We had tons of fun, but then summer hit and he took his Dreamcast home. I'm looking forward to playing them fully, but I have enough experience to know what I'm getting myself in to. "Maybe I should get another?" @nessisonett try LSD? Now that takes me back. The late nineties were a hell of a good time. Really though, I've played that out of curiosity. It was... Well it was different. I fully expect this to have aged quite poorly but I've wanted to play this for a long time now, even joined in the #SaveShenmue campaign to get Sega and Sony to listen. So if nothing else it'll a big tick in my gaming life box. Also can someone tell me what the constant reference of "sailors" is about? Was it a recurring objective, a unintended bit of hilarious dialogue? All I know is I have to find them. @Clutch_Nixon It's definitely unique if more than slightly odd. @get2sammyb Part 2 was only out on X-box in the US...was announced for Dreamcast, but Sega pulled the plug on the system...also why X-box got Toe Jam And Earl 3, Panzer Dragoon Orta and a list of others. Shenmue was a great game on the Dreamcast when I played it...many hours, but the story does get lengthy to where you end up putting it away for a while. Not sure how the graphics will be updated, but I'm sure they look pretty bad to today's AAA Game standards. Part 2 was the same, and both were great titles! Can't wait for this collection and part 3...now, onto what I'm sure many others would or did say...when can we expect more Sega classics to get remastered! I'm dying for Toe Jam And Earl 3 to make a comeback...especially since I'm still eagerly awaiting the arrival of Toe Jam And Earl 4! I’m more than fine with old school game controls and mechanics, so I’m looking forward to playing this for the first time. I always heard about it at the time, but I never owned a Dreamcast and so have never played the games. Just out of interest, what is the issue with the controls? Is it just the lack of dual analogue controls, because I’m more than capable of enjoying 3D games without them. I’m also fine with tank controls. @get2sammyb Excellent article, I can only applause to this intelligent initiative ! "Shenmue" is so often refered as an absolutely cult title that many gamers from today could be disapointed when trying to see if the legend is true. It's all a matter of context. Personnally, I grew tired, something like three or four years ago, of this waiting for a remaster that would never come. So I decided, at the time, to buy a Dreamcast (which I never had before) in order to finally play these titles. I beat the first Shenmue in a straight line (something I never do), I just couldn't drop the controller. Everything was so brillant. I suprised myself in finding that I was commited to do properly my job, my in-game-job, to earn proper money. And to spend this money in figurines and arcade games. I was hooked ! The game litterally absorbed me. Then I played the second one, on xbox 360, cause I wanted to continue the game in english and to be able to enjoy it with the better quality possible (on 360, the Xbox version of Shenmue II really looks like an HD port already). And boy, this masterpiece. Shenmue II is incredible. Its story, its scale, the way it takes every good idea of the first one to another level... Proper genius. @DrClayman At the time, I'd never seen a 3D world realised quite to the extent of this one. In some ways, it was the first open world of its kind, filled with AI characters going about their business. It was also extremely cinematic for the period. Obviously we live in an era now where stuff like God of War exists; game writing and cut-scene direction has come a long way. But there was only really Metal Gear Solid that was in the same realm as Shenmue at the time. They were fun games too IMO, but I like the slow-paced stuff. @JLPick Shenmue II actually came out on Dreamcast in Europe, but yeah, not North America. I own an original copy! @GravyThief The original controls are bizarre by modern standards. You can only move with the d-pad; the analogue stick controls a first-person camera type thing. There's no second analogue stick camera control either. I assume the new controls will be more like a modern third-person game. The main thing for me would be the improvement in FPS. Us PAL gamers dealt with it back in the day, its a luxury now. @get2sammyb That sounds good. The series has piqued my interest in the past, but most people I've met that had played them tended to emphasise on the negatives. And yeah, I wouldn't expect them to stand up to modern standards like Uncharted or God of War, but if you're comparing them to the Metal Gears of the time, that's a good enough recommendation for me. Might actually give them a bash when they're out. I definitely gonna buy this game again for ps4, its been a long time since i play this game.. and i would love to revisit it again. For me shenmue is the touchstone of a story based action adventure game, that yakuza game simply takes it and simplified it. At that time playing shenmue feels like we immerse into the game.. like we could smell the scent of the city, the flower and the life.. i sure is missed the adventure, although maybe the graphics a lot behind of the game nowaday but i didnt care.. because for me.. shenmue always cling in mind.. when will i can play game like shenmue again even when im playing heavy tain, gta v or any newer games. It embedded in mind and now the time is come.. i hope it would be not to long now.. I love these games. I have bought /sold them so many times. Currently in the process of adding a hard drive to my dreamcast to speed up loading. I'll buy them but I will probably continue to play them on the DC. It just feels wrong to play them anywhere else. Never tried it but never felt the need to either. It is just not apoealing for me. When I play a "slice of life" kind of game I prefer games with fantasy settings like The Elder Scrolls. If I wanted realistic slice of life I could just turn off my consoles and take a walk down the street. I just don't like realism and find it pointless to play realistic games. Guess it's a bit like playing Mario 64 today for the first time. While someone might enjoy it, they'll never get to understand how insanely groundbreaking it was to have such fluid control and a proper 3D world as you did back in the day. That game is still my favourite of all time just because I remember how incredible it was, but really there are better games out there now... I've never played Shenmue but have a feeling it'll fair in a similar fashion. @get2sammyb I remember it being advertised in their official magazine, which turned out to be the last issue. I got excited for the games mentioned, and then...low and behold...they cancel the system, which made me even more disappointed because I just bought it...then it was a race to pick up extra controllers, memory cards and games for it, because stores caught wind over here and just eliminated the system and items rather quickly. Really enjoyed reading through this. And I agree: an article of this tone absolutely needs to be posted. I feel lots of gamers who never played this are going to be shocked at how it plays and the pacing of it all. But it is almost like required reading; you NEED to play this game. It's just you need to have the correct expectations going in. @RegularGameFan The games were funded by Sega for their then flagship console. How is that exclusivity stupid? It's no different than God of War, TLoU, Horizon etc being Sony exclusive games. I had the original on my DC but never ended it because the 2nd disc was scratched. Recently downloaded it via emulation, but found the control scheme unplayable in today's standards. Maybe I'll get my true shot with the remasters. Loved this game on the Dreamcast - I remember the multiple discs it originally came on (think it was 3 or even 4!!). This game was epic for its time. I'm not sure though about playing it now with all its multiple QTEs, (which I now hate in games!!) but then again, getting jobs and playing in the arcades was an absolute blast!!!! Ive somehow got two boxed copies of the Dreamcast original (got carried away on Ebay ) which I played one of for the first time since I was a teenager a few months ago.. Reminds me I need to flog one of them back up on Ebay. The only big problem for me which I forgot about from playing it all those years back is the constant and significant loading screens. Otherwise the title still holds up pretty well for me (although I can imagine the feeling is different as a new user)..The voice acting was always bad and clearly highly compressed. Still havent played Shenmue 2 yet.. Have the original box sitting with my Dreamcast ready to go and will play it before I play the PS4 release. Just for nostalgias sake. I played the heck out of this game in college. I had the official VGA Box for the Dreamcast (ugh, I STILL can't believe I got rid of everything for my Dreamcast - it's a decision I have forever regretted) and a killer set of stereo PC speakers. This game looked amazing in crystal clear 640 x 480 resolution and sounded amazing (the soundtrack is awesome)! I miss those days. It may not have aged well, but this was a HUGE deal back in the day. I remember I found the European import of Shenmue II (only playable if you own a VGA Box in the US), but it was $75 and I was strapped for cash at the time. Sadly, when I finally had the cash to get it, the store where I found it stopped carrying the game. I hope this collection, like the original Dreamcast version, lets you import your save from the original game to the second game. I don't remember exactly what it imported. I think it was your toy collection and the time of year when you finished the first game. One thing I didn't see mentioned was the original game has a time limit - it's a pretty forgiving time limit, but you still can't spend eternity on the game. I think you have until the end of March to finish the game (the game starts in December). I don't know if the second game had a limit. I did play through most of the game on the Xbox, but it's a much more streamlined experience and progress can be made much faster. I also like that, in the original Shenmue, the player could choose to use the true weather for Yokosuka from the 1986 - 1987 almanac - such attention to detail! I don't remember if the second game offered that option. I could talk for hours about what makes this game so special. Sounds awful but I still am tempted to try this "cult classic."